Nike recently opened a Flagship “Nike Brand Experience” location in Portland, OR. There are tons of incredible displays in the 26,000 square foot space, one of which was released by Jordan Brand this week, the Air Jordan ‘Home Bulls’ Collection. 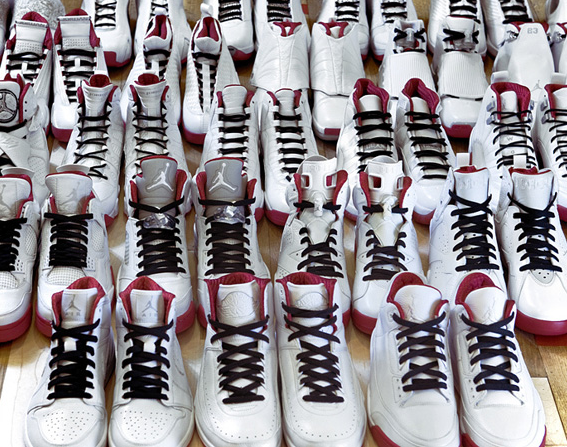 Paying homage to the history and legacy of MJ, the collection includes every pair of Air Jordans from the Air Jordan 1 to last year’s AJ 2010. 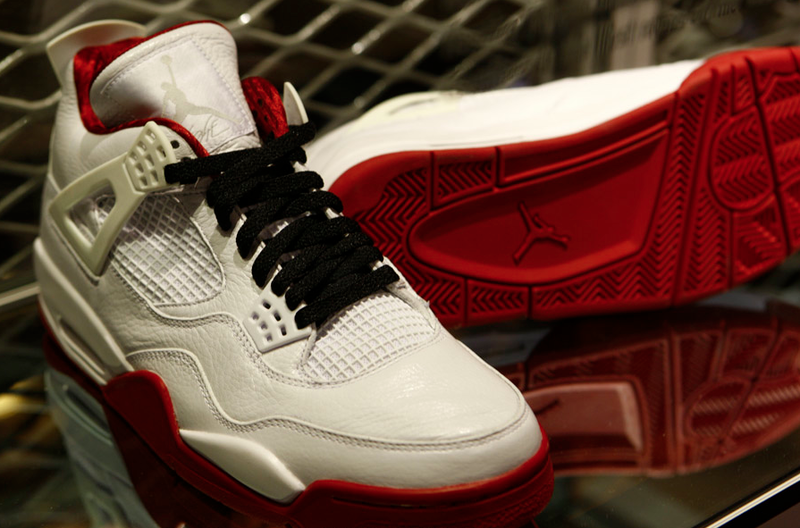 Each pair carries a similar look that features white uppers, red outsoles, red inner-liners and black laces. The entire collection is up on display at the new Nike Portland retail space, but there has been no word of a public release. 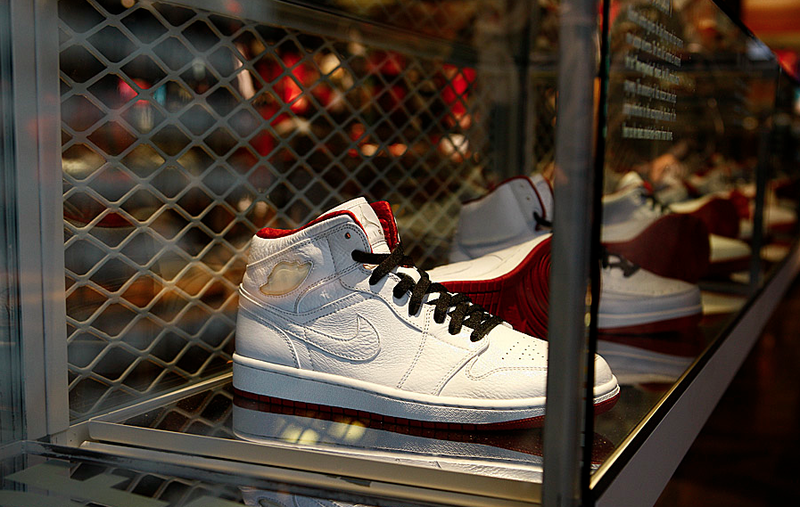 Nike Portland, 638 S.W. 5th Avenue, Portland, OR. Living in NYC with a baby on the way, I’ve been on the hunt for blogs and sites that I can go to for kids gear and street fashion. Yesterday I came across a beta site for Lil Snob. Connected in some way to Highsnobiety, a blog I frequent for my own taste in products, this site is a direct hit with what I’ve been looking for. 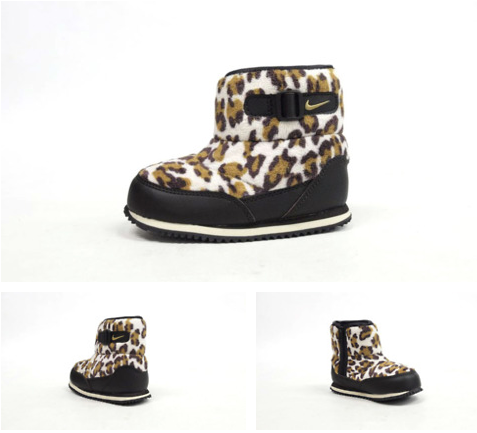 I of course want to make sure my little lady has the most up to date toys and freshest kicks, like the Nike Leopard Print Little Winter Jogger Boots shown here. Does anyone have any other suggestions for me? Let me know at citifiable@gmail.com. 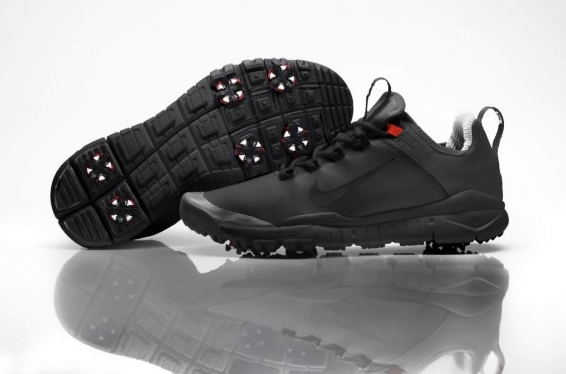 For his return to competitive action, Tiger Woods has been working with NIKE Golf and Tobie Hatfield on a FREE-inspired prototype shoe which he will wear during this week’s WGC-Bridgestone Invitational. 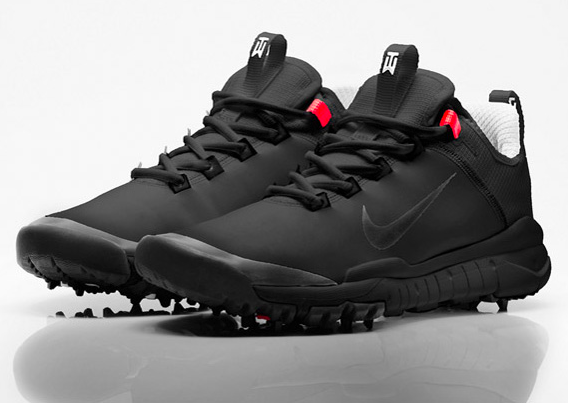 Yet to be named, the shoe features the sensibilities and performance enhancements of Nike’s FREE technology. The majority of the upper consists of a polyurethane coated stretch fabric, also seen within the construction of NIKE Basketball’s Hyperfuse 2011. Part of the heel is created from recycled NIKE Air Max units melted into thread and then woven together to create a strong, breathable textile material. The outsole is taken from NIKE Sportswear’s Special Field Boot designed for first-responders. Originally developed in 2004 by a group led by Toby Hatfield, NIKE FREE is a ‘natural motion’ technology that is designed to mimic and conform to the natural motion of the foot, coupled with the protection and traction of a lightweight performance shoe. The FREE-inspired elements in Tiger’s prototype model allow greater movement for the front of the foot, increasing stability with mobility. 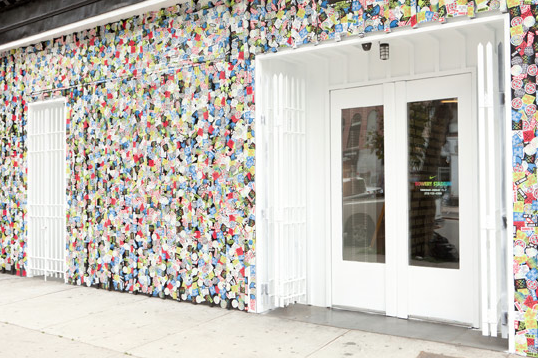 Nike Bowery Stadium, one of my all time favorite marketing concept shops, recently unveiled “The Wave”, a surf/skate installation based around their summer ‘Just Do It’ action sports campaign. The retail component of Stadium reflects surf and skate culture featuring a curated selection of Nike action products. Stadium MFG offers the opportunity to customize core products from the Nike Range, including t-shirts, sweatshirts, hoodies, board shorts and other apparel. 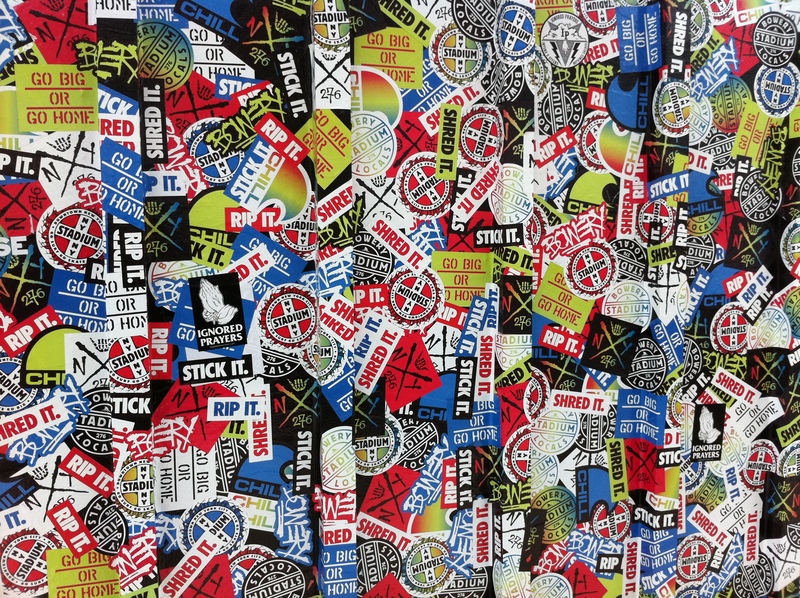 Collections of skate and surf stickers are displayed to provide inspiration and share the history of East Coast surf/skate culture. Throughout the ‘Just Do It’ summer season, Stadium will host special programming including lectures, live musical performances, film screenings, product launches, and mentoring workshops. Weekly film showings will balance classic surf and skate movies with Nike team flicks. Celebrating the local surf and skate community, Stadium aims to deliver a culturally creative point of view and an interesting twist on product, performance, innovation and design. Additional images. Japanese label CASH CA has been making waves for over 10 years years with their incredibly well made, well designed products. Their innovative approach to design caught my attention a few years back. For their Fall/Winter 2011 Collection they are releasing three unique collaborative projects, a second season luggage collection with immun., a footwear collection with Tricker’s and a second more laid back footwear collection with Keds. CASH CA and immun. present a backpack, a day pack and a shoulder pouch. Each piece comes in 4 color combinations. 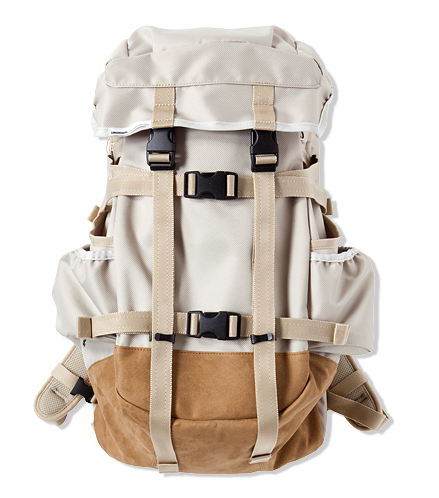 The backpacks and bags, each made with Cordura nylon and premium leathers, will be released between mid August and mid September 2011. 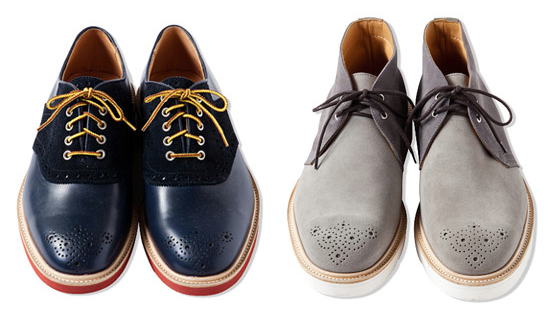 CASH CA and Tricker’s present two pairs of shoes, a saddle shoe and chukka boot silos which come in navy and grey suede as well as a leather version with brogue detailing. 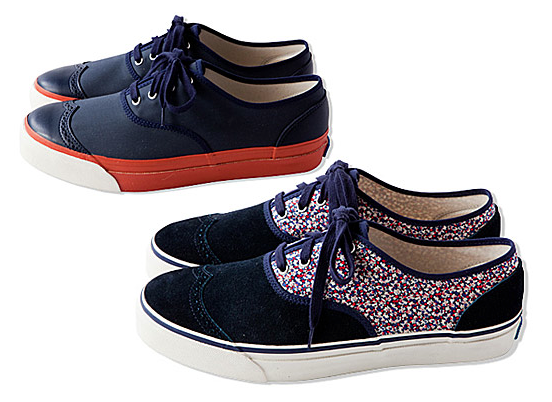 The Keds capsule shoe collection also includes Liberty of London prints and British Millerain fabrics. They come in 3 colorways all of which will be available soon. Visit CASH CA’s website and check out their quality knitwear as well. 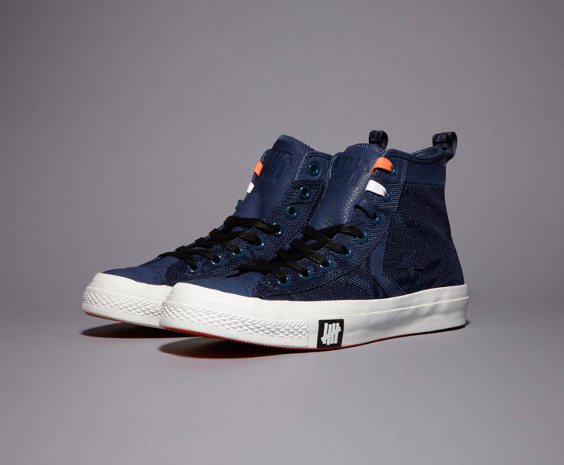 Undftd and Converse recently released a navy colored capsule collection. 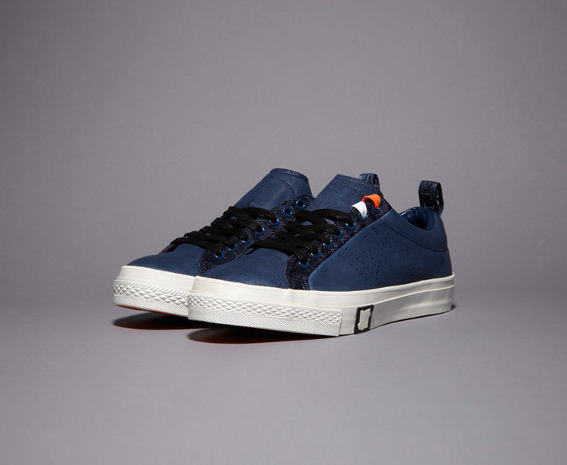 The 3-piece pack includes a Star Player High sneaker, Academy Low sneaker and matching A.L.I.C.E. backpack. 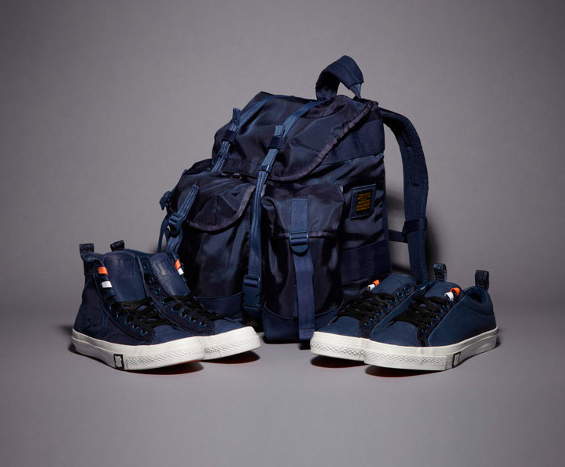 All three come in a nice mix of premium navy deerskin leather and matching ballistic nylon. 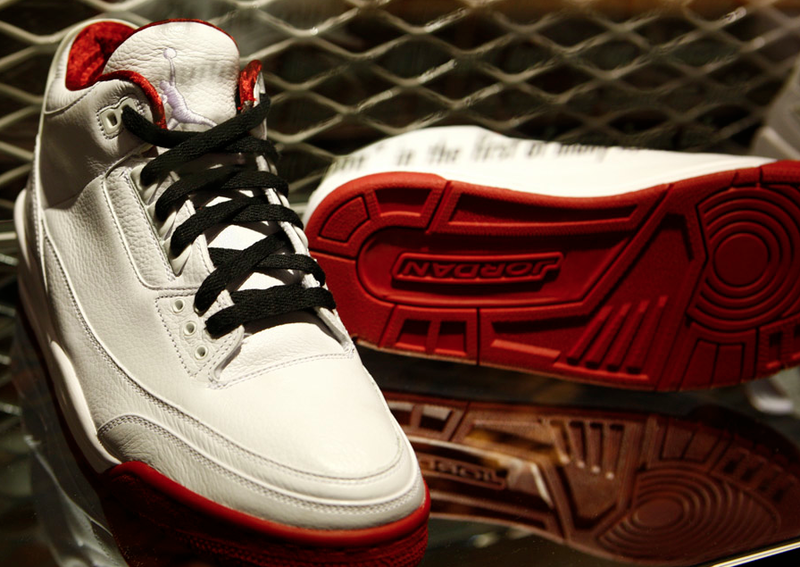 Both pairs of kicks come with three sets of laces and two special round patches. Purchase online or at Undefeated locations. Nice. Kickstarter is cool. It’s allowing things to get funded that never would have seen the light of day before now. Combine that with really effective print techniques that allow professional results in small quantities, and you have MAX100. 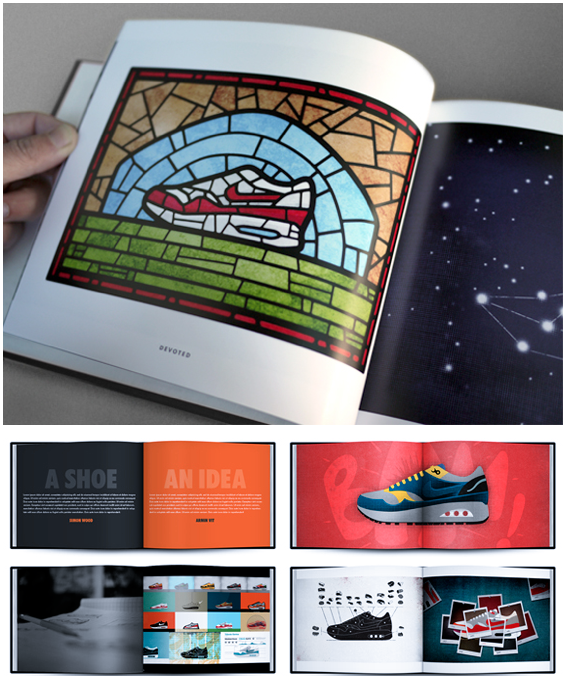 Started as a project by North Carolina artist Matt Stevens, his obsession with the Nike Air Max 1 has manifest itself in this upcoming book release. Gotta like the $150 option that includes the plywerk print, limited signed edition book with slipcase, poster and your name incorporated into the donor shoe illustration. He’s about $27K to his $30K goal with funding ending July 23rd. I’m just hoping he doesn’t get sued by Nike before it ships!